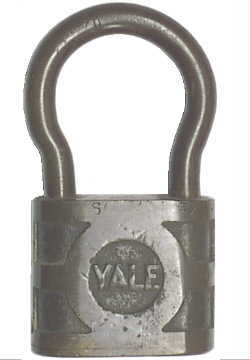 Folger Adam Co., Joliet part is worn away in places, then says Ill.
Yale Lock Mfg. 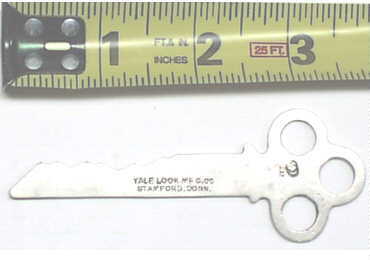 Co. - Stamford, Conn. - This key is way too large to be a safe deposit key, but it is the right thickness for one. 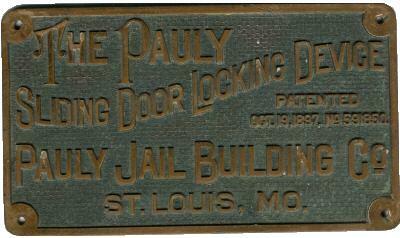 Folger Adam Co. - Joliet, Ill.
have any idea what jail it comes from. 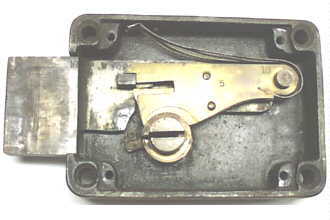 operates from both sides, but very tight on both sides, needs a lot of work to smooth it up. 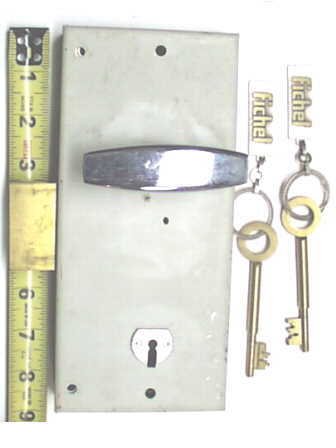 keys, so the next time you're in Paris you can get more keys. 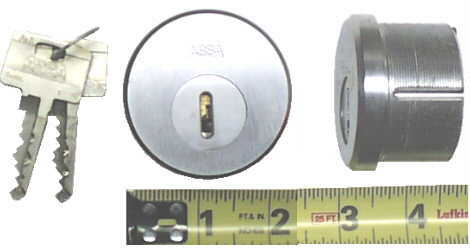 change, the master is omnidirectional, the change is unidirectional. 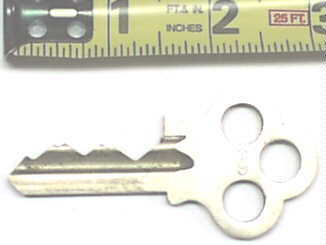 or SanQ. 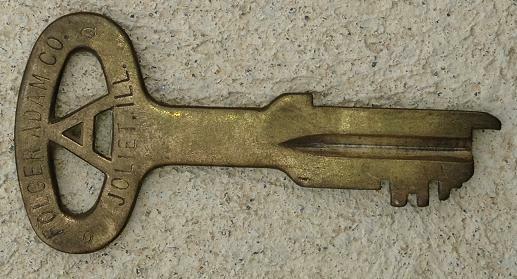 They were never marked with the full name. 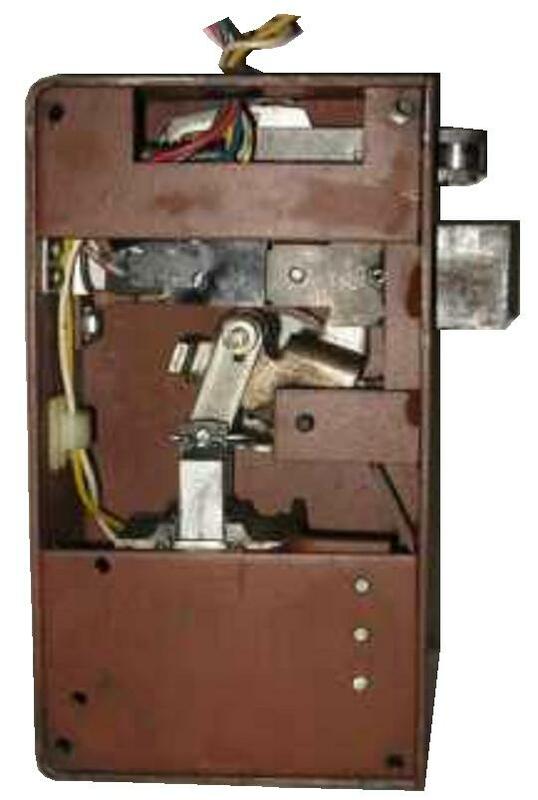 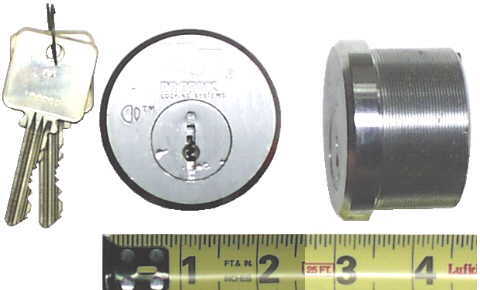 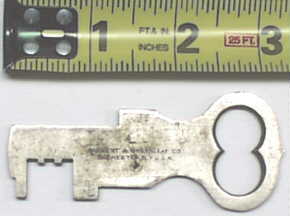 A Southern Steel mogul cylinder, no key available. 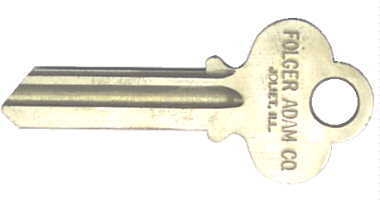 A very rare Folger Adam key that escaped San Quentin prison with its SQ marking intact. 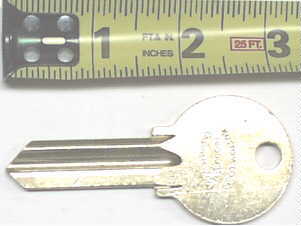 San Quentin has a rule that all markings must be ground off of keys or locks that leave service at the prison. 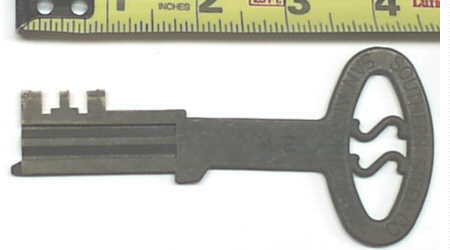 This key is slightly bent between the stop and the bow from obvious clockwise force. 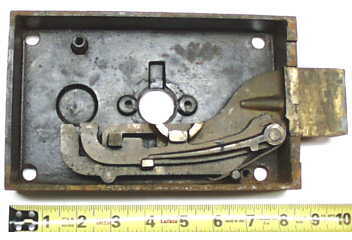 That may be why it was taken out of service. 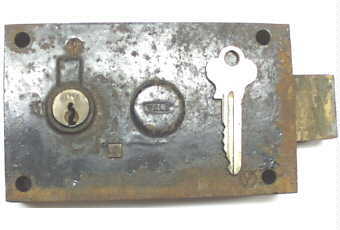 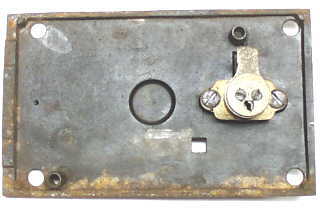 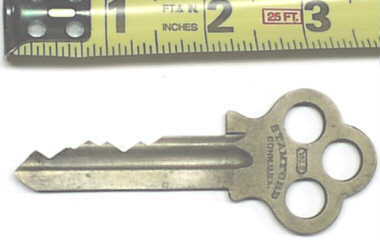 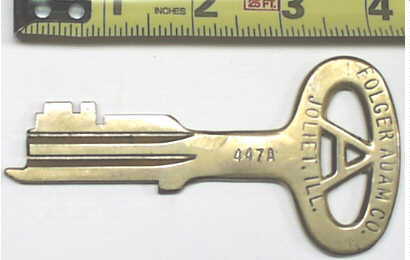 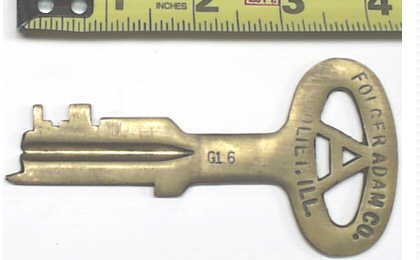 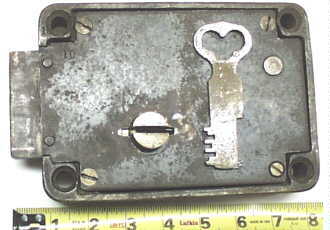 A Southern Steel Blank key.